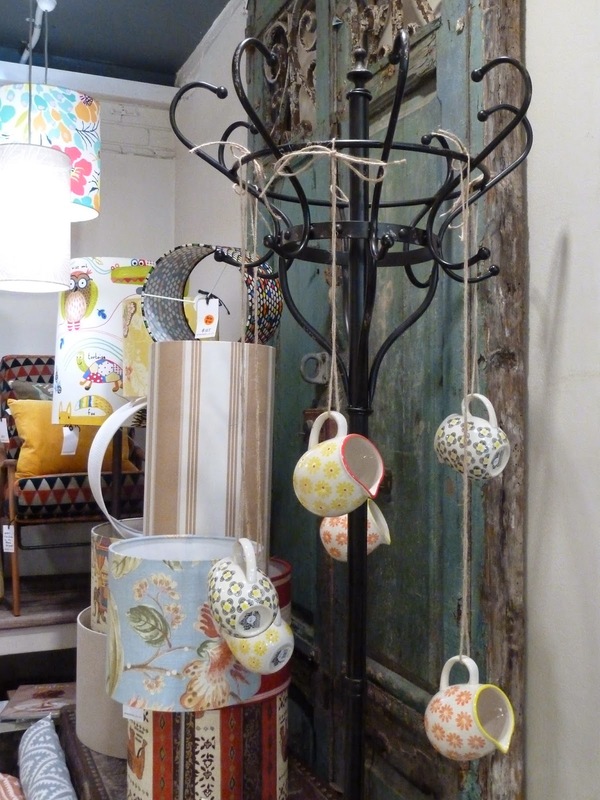 A cafe right smack in the midst of a home and decor store! How cool is this and how attractive a thought?!? I cannot recall when I first heard or read about Armchair Collective but I do remember putting it on my list. Not long ago, I decided to take a Saturday drive with my friend MO. Partly to belatedly celebrate her birthday and partly to de-stress from what has been one of the worst weeks I have had at work. The weather forecast on that day warned of potential rain but we were blessed with fantastic weather. When we arrived at the cafe/store I was fascinated by the eclectic homeware and how the tables and seats were cleverly interspersed throughout the store. After perusing their menu their corn fritters caught my eye. It was a breakfast only dish which was served until 11.30 am. We missed it by about 10 minutes. There is a section of the menu which was 'all day breakfast' but the corn fritters was not on that list. I decided to ask if I could order it and the chef was apparently in a good mood and said yes! Woo hoo! My sweet corn fritters with avocado salsa and bacon was delicious! Beautifully plated with gorgeous colours; it was slightly sweet, salty and there were hits of saltiness from the bacon which was wrapped in the middle of the fritters! 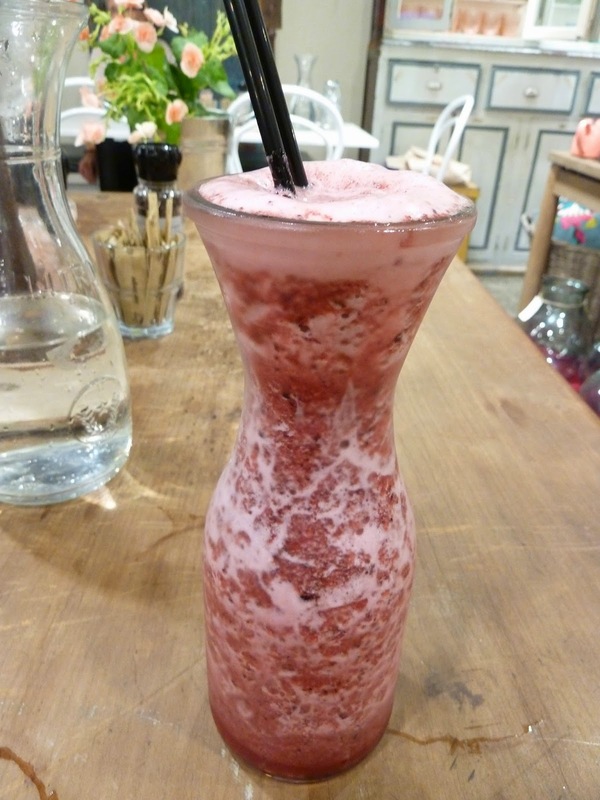 I also ordered a Mixed Berry Fruit Frappe - loved the carafe the drink was served in! We browsed the store and found some quirky retro stuff. What a great place to hang out and browse! And after our heavy lunch we strolled the beach. It was absolutely relaxing and made me appreciate being able to enjoy the beach and watching the waves. It was a much needed change in scenery. Lovely day indeed! How lovely that the chef was so accommodating! And love the colour on that passionfruit curd tart!